Now available; published November 22, 2011. 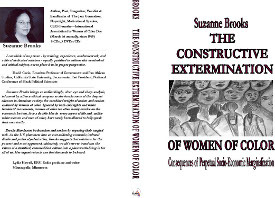 Essay: Systems Thinking applied to racism plus sexism. Some essays from past writings, relevant to current issues making news, illustrating social climates which exist or have existed, serving as background to recent scandals & social movements--sections on PennState and California State University Sacramento will be of interest to many readers. "I can think of no person.by training, experience, academic work, and a life of dedicated activism .equally qualified to address this overlooked and critical subject, nor to place it in its proper perspective. " David Covin, Emeritus Professor of Government and Pan African Studies, CSU Sacramento; Past President, National Conference of Black Political Scientists. Ins and Outs is a collection of poems and stories from the 1970’s, written with the heart, influenced by the changing roles for women, with an inner-city Black voice full of affrontery, hope, despair, and humor. The poems are preceded by an introduction offering insight into the writer’s intent and identifying literary influences. 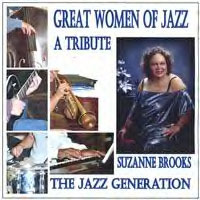 A truly enjoyable homage to some of the greatest women to have contibuted to the legacy that is jazz music. 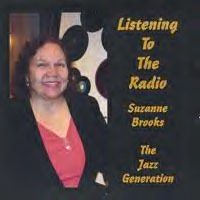 This CD is a glimpse into the show, by the same name, written by Suzanne Brooks. Or use your credit card. 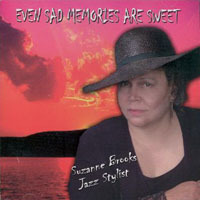 An all original composition, written by Suzanne Brooks. 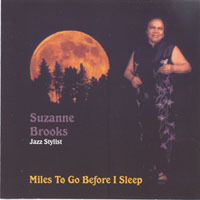 A dynamic jazz singer who makes old standards sizzle and gives attention to lesser known but beautiful songs--some in Spanish--a variety of jazz & torch songs & a country ballad.